This week Wall Street fund AllianceBernstein announced that it was the latest in a line of finance businesses fleeing New York in order to lower, among other things, its property taxes. Businesses aren’t the only ones leaving—New York’s population is on the decline, in no small part due to taxation. That’s because the silver lining regarding property taxes used to be that they are deductible from federal taxable income. But that’s done. The federal tax overhaul which was signed for 2018 disallows property tax deductibility (caps it, along with all other state and local taxes, effectively eliminating it for many, given New York’s nation’s highest tax burden). That means that individuals will now be double taxed—paying federal income taxes on money that was already paid in local (and state) taxes. New Yorkers who rent will likely find their rents creeping up as their landlords pass the higher taxes on to them. Such double taxation will surely drive down New Yorkers’ property values and force more to leave our state for places such as Florida, which has lower property taxes and no state income tax (because they spend less than half what New York does, despite Florida’s larger population). Governor Andrew Cuomo has proposed cumbersome gimmicks in an attempt to help New Yorkers avoid the double taxation, but most say the IRS will see through these schemes and disallow them. And none of them apply to property taxes. Some say that the Republicans were attempting to punish “blue states,” whose state and property tax rates are typically much higher than “red states.” But no matter the reason, a lot of pain is coming for New Yorkers. And while the federal taxation rule change is the catalyst for the sudden pain, let’s be clear: the problem is quite simply the high taxes in New York. Property Taxes – What are they and Why are New York’s so high? Property taxes are an easy way for municipalities to raise funds. It’s a fixed target. You either pay your taxes, or you lose your property. To many, it’s like paying rent on land you already own—seemingly a violation of property rights. In their best light, they are like HOA fees you “agree” to pay when you buy your property, subject to changes by local government. But their ease of collection from typically the wealthiest people—landowners, makes them a staple for trying to raise funds for: public schools, first responders, sewage treatment, local road maintenance, parks, general administration, as well as hundreds of other uses. And New York localities spend a lot of money—among the most in the nation. 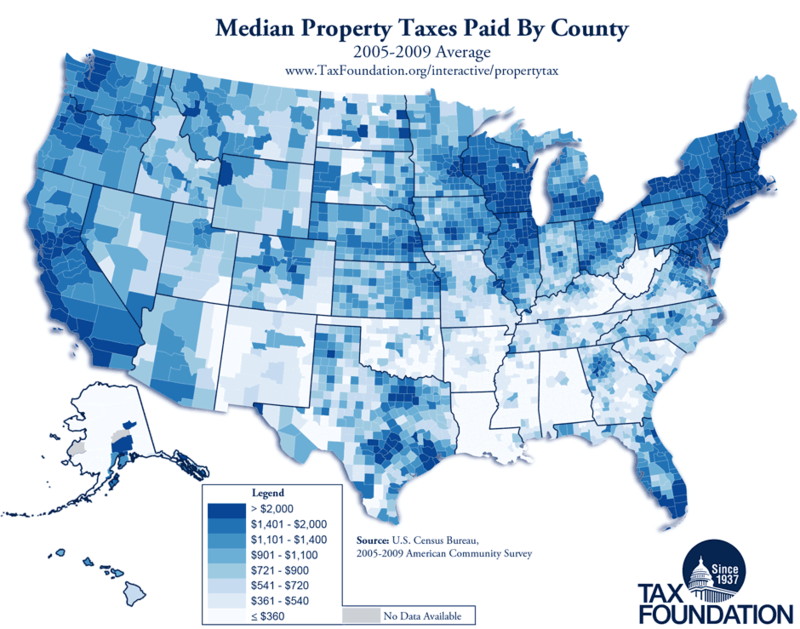 Bloomberg news reports that three of the five most expensive counties in the nation for property taxes are in New York, while other reports say that New York has nine of the top 10 highest property tax counties in the nation. Overall, New York state’s property taxes are twice the national average, third highest overall. The New York state legislature has put a soft cap on local government spending (the “tax levy”) which limits increases in annual spending to the lesser of two percent or the inflation rate, unless local government gets 60 percent approval of going over the cap, after public hearings are held. While a cap is a great thing for those of us who are payers of property taxes, it leaves localities struggling to meet fiscal challenges—many of which come from the state. That’s because there is no limitation on Albany’s or federal requirements of local government with new and expanded rules they write, for which no state or federal budget monies are provided to comply. These are the dreaded unfunded mandates. With both a property tax cap and increased requirements from Albany and Washington, local governments find they are getting squeezed. Many turn to other forms of taxation: fines and fees—everything from increases in mobile phone taxes (New York’s are 50 percent higher than the national average) to diverting police from preventing violence and turning them into tax collectors: plaguing non-violent people with more traffic stops to raise funds via traffic/parking summons or civil asset forfeiture. As we’ve proposed here, new unfunded mandates from Albany need to stop and old ones need to be eliminated. New York localities need to be protected from federal mandates, whenever possible. Albany can cut back on dozens of rules and regulations which stifle local businesses, among these are New York’s ever-growing minimum wage and jobs-killing occupational licensure laws. Public schools need to be free to run without Albany interference so that they can meet their fiscal and unique educational challenges in creative and cost-effective ways. State government spending in Albany can be cut dramatically, thereby relieving pressure on New York taxpayers and therefore local governments. Public employees’ pensions need to be transitioned from defined benefit plans to defined contribution plans or otherwise restructured to meet their near- and long-term fiscal challenges without massive tax increases which will surely come, otherwise. No matter what, New Yorkers are looking at tougher times with the federal deductibility of state and local taxes being capped/eliminated. Albany can do a lot to ease the burden on localities so that property taxes can be controlled. NY Issues corrupt, property tax, waste. permalink.